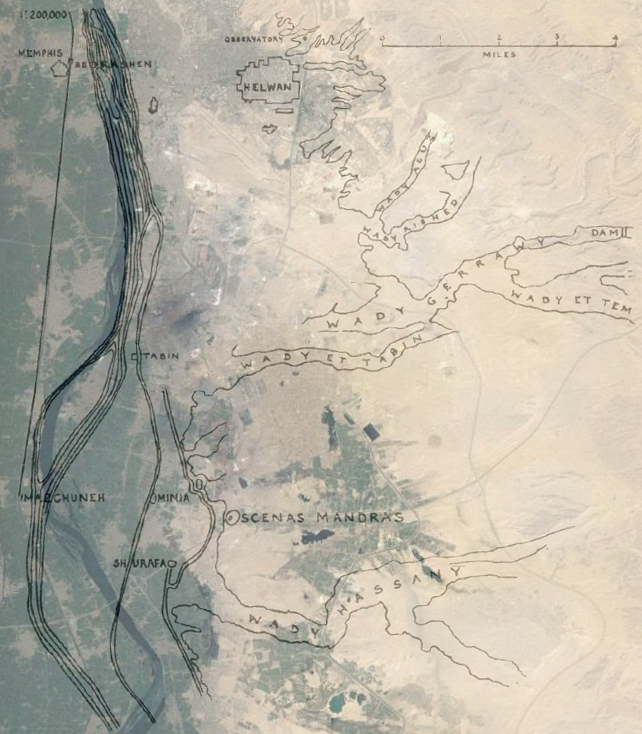 The Roman walled town and fort is located at the edge of cultivation on the east bank of the Nile, almost opposite to Mazghuneh. The town has been identified by relative distances in geographies as Scenas Mandras literally translating as the Tents of the Enclosures. The town was founded before the 3rd century CE and seems to have no earlier remains associated with it. The town served as a garrison for the Ala Septima Sarmatorum-the 7th Regiment of the Sarmatians; meaning the members were Gothic mercenaries. The town later became a seat of a bishopric. It seems to have been occupied until the 12th century CE.